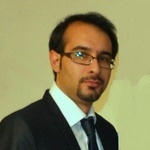 I am Hossein, a holder of a master degree in Electrical Engineering. I am really expert at Matlab & Phyton code developing, PCB designing Eplan and Autocad Designing with more than 10 years experiences in various projects. I will be very happy to work on your projects. MATLAB CODE !! URGENT REQUIRED!! Excellent work. Hossein is very fast, responsive and delivered high quality work. Highly recommended.